Improve the World, Not Your Like Count! Another day, another hashtag, another public struggle amongst societies with the demands of palpable change from the current system of governance, attitude, prejudice, and injustice. With the incredible rise of social media over the last ten years, the tool has moved from cat videos and adverts that reflect our state of mind in a strangely accurate way, to a powerful political instrument, allowing social movements to communicate across the globe effectively , mobilizing tens of thousands in hours. The public nature of social media also allows millions around the world to acknowledge an issue in the blink of an eye, creating a global support network. But this speed has only shortened an already short attention span, particularly in the West. With a near unstoppable stream of content support and activism is often nothing more than the tap of a screen and the same from a few hundred anonymous followers. Towards the end of 2017 and into the beginning of the New Year, the world witnessed, once again, a youthful uprising in Iran. Thousands of people gathered throughout the nation to protest the government’s poor economic planning. More importantly they demanded to end the state’s theocratic practices. The world watched silently, wondering what could be if these young citizens, in their embrace of liberty, were successful. Thousands were arrested and many have died, including at least three in police custody. With lives of our own and busy schedules, the world turned to the small screens in our hands, retweeting and liking anything marked with #IranProtests. For those who shamelessly count their impressions, hoping that their content attracts more followers and brings more exposure, including this author, a tweet of support during the height of the protests was enough to receive thousands of impressions in virtually no time at all. But what happens when the protests die down or the interest of the general public turns to some other shiny object? 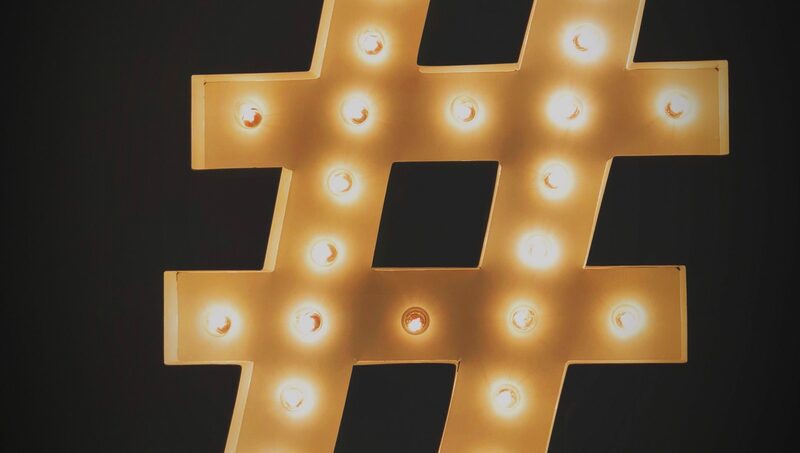 The tweets slow down, support wanes, and the popular hashtag quickly falls down the list of “trending” topics on social media, leaving only those directly involved in the movement to use it. Only a week ago, tens of thousands gathered in Bucharest to protest the government’s attempt to, quite literally, legalize corruption. This is the second time within twelve months that Romanians were arriving in the capital in record numbers to protest the government’s plans. One group walked 450 kilometers to reach the capital and have their voices heard. The buzzword on social media was #RomanianProtests, but this did not trend nearly as well. Perhaps it was the location of the protests or simply the content of the movement. American and Western interest in Iran is much greater than in Romania. And protesting corruption does not nearly seem to be as attractive as the emphatic attempt to change an entire nation amidst a region of similar political ideologies. Indeed, it has been difficult to find any significant coverage of the news in Romania in the United States, with most results only referring to the protests in 2017, which saw much larger crowds. If significant political and social struggle is to trend across the western world, it requires heavy news coverage and significant accounts, like that of celebrities and politicians, commenting on social media. The question becomes, with the amount of attention that online trends can bring, is there truly an ability to bring about measurable change? The recent #MeToo movement is an indication of the affirmative, with a global effort to bring attention and a halt to the systemic abuse of women in our societies. In a fantastic display of unity and rapidity, following the exposure of Harvey Weinstein, women around the world have found the support and strength of a global community to come forward with their own experiences of abuse. What has made this effort so incredible has not only been the willingness to speak openly about it, but the willingness to name the specific abuser without fear of reprisal. The online trend made national and global headlines, with journalists and even the authorities stepping up to look further into the allegations, some of which have been denied and others of which have been acknowledged as true. But the #MeToo movement brings to light another danger of online activism; the ability to wield it as a weapon against others. While each accusation must be taken seriously, as any such allegation is as important as any other, there is the increasing risk of subjecting the accused to the court of public opinion. The outpour of support has been tremendous, but also perilous, with an unwillingness to consider the other side of the case. Such a global trend has been shown to have the ability to circumvent the right to due process; the right to face one’s accuser, to make a case in one’s defense, to protect one’s self under law, and the burden of proof being on the accuser and not the accused. Yes, the statute of limitations makes this nearly impossible in many cases, and this is not a defense of those who are guilty, but the legal rights by which we are all protected are there for the guilty as much as they are for the innocent. The risk of an innocent person being subjected to a social death penalty is far too great to not reconsider the immediacy with which we condemn the accused. In April of 2014, the world first learned of 276 schoolgirls who were kidnapped by Boko Haram in Nigeria. Horrified by the events, a global outcry rang out; various fundraisers were started, with money being raised in support of education in Nigeria, as well as reward money for anyone able to locate the missing girls or for one that would rescue them. A new trend was born: #BringBackOurGirls. All over the world, particularly in the West, pictures were posted of somber looking persons holding signs that bore the hashtag, including numerous celebrities and then-first lady, Michelle Obama. Attention was raised and media outlets watched the situation closely. To date, over one hundred girls are still missing, with others having escaped or been released. Several have also been reported as dead. Out of the social media clamor, an interesting post found its way onto the screens of the public. A US Army Ranger posted a picture of himself holding a sign, but with different hashtags. His sign bluntly stated that an online trend was not enough to rescue the girls and that it would require the efforts of special operators sent in with the specific mission of their rescue. He finished his thought with the hashtag #StopLazyInternetActivism. While most Classical Liberals cringe at the thought of military intervention on foreign soil, the Ranger makes a valid point: rapid internet activism is relatively useless without direct effort. Widespread awareness is a powerful tool, but without the mobilization of the masses or true social efforts, the attention required will be lost until the situation escalates, often for the worst. In the United States, we have a phrase that comes up during every American Football season: Armchair Quarterback. This refers to one who, sitting comfortably at home with a beer, continually shouts advice at the television to the teams on the field, often extolling their own proficiency in the game. This is not an uncommon trait amongst Americans; visit any sports bar or the home of a fan and you will be witnesses to our coaching and athletic prowess. This is the risk of internet activism. Social media is a fantastic means of spreading awareness and drawing attention, as well as communicating and mobilizing the public. But a topic can easily be cannibalized by other content and simply becomes what it should not be: a trend. With growing social unrest around the world, the public’s attention has since been drawn to the Super Bowl and Tide Pods, with the Winter Olympics right around the corner. Activism is not for the faint of heart, nor is it something to be solely worn on a t-shirt. It is the method by which our society has evolved over generations. If the intention is to use social media, it must be done effectively. In the meantime, we must all consider how we utilize social media and whether our retweets, likes, and comments are genuine or fleeting. If a cause is to be maintained, we must be willing to prolong the conversation and engage mindfully with our peers; if we let it go, however, we have failed those whom we claim to support.